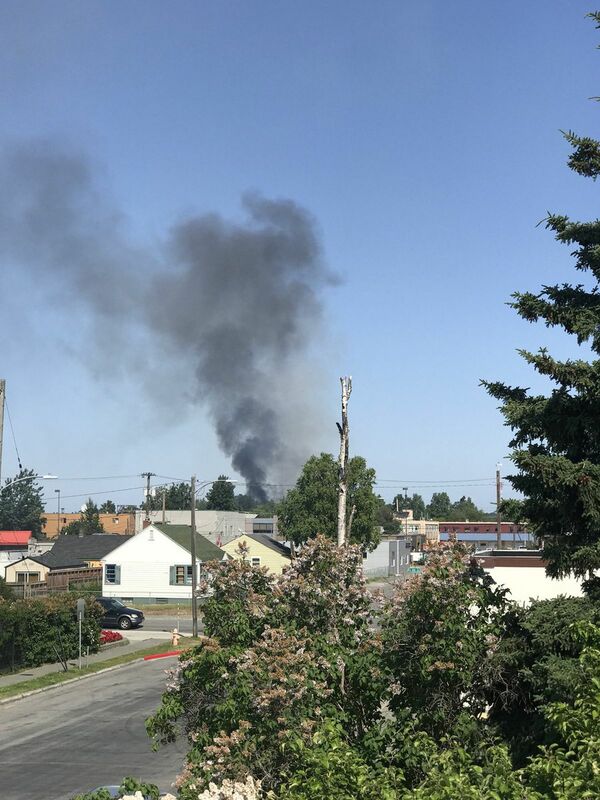 A small grass fire caused an attention-grabbing cloud of black smoke to rise up over downtown Anchorage Saturday afternoon. The fire was reported at 12:38 p.m. at the corner of Eagle Street and Third Avenue. Two fire rigs responded and had mostly extinguished the flames within 20 minutes, said Jodie Hettrick, the Anchorage fire chief. Hettrick said crews were shoveling out the area to prevent it from spreading. The cause of the fire was not immediately known.